Hallelujah! Many of you have written to say that you like this site’s new, clean design. After seven years of blogging, I figured the place could use some sprucing up. I even changed the name of the site. Buh-bye, A Garden for the House.com. A Garden for the House was the working-title of a book proposal I wrote many moons ago. The subject was houseplants, including those we can grow for culinary purposes. After the proposal was turned down by several publishers (“nobody cares about about indoor plants,” they said), I decided to throw in the towel, and give away the contents of the book online. I tossed in some sample recipes, too, just for the fun of it. And then a miraculous thing happened: Tens of thousands of readers came aboard! Readers came for the gardening how-to. And the step-by-recipes. And to watch the restoration of the spooky 1826 manse that I share with a Silver Fox. True, some folks stopped by just to see my spelling mistakes and grammatical errors. Eh, bien. Everybody’s welcome here. As headers go, “A Garden for the House” never accurately reflected the contents of this site. Nor was it a “catchy” moniker. Over the last 7 years, I came to loathe the title. Of course, “Kevin Lee Jacobs.com” doesn’t exactly roll off the tongue. But I think the subtitle — “a guide to delicious living” — aptly describes just about everything here, from gardening to cooking to housekeeping. Heck, it covers Lily the Beagle’s weight-loss plan. Does the new name — and especially the “delicious living” subtitle — seem suitable to you? You can let me know by typing a comment. I look forward to reading your thoughts. I love the new name! Will you change the URL too? Or will I always be able to access the site by typing agardenforthehouse.com in my browser? Hi Bryanna – I purchased the domain “Kevin Lee Jacobs.com,” and had it re-direct to this site. So whether you type the new title or the old, you’ll still end up right here. Phew. Love your site by any name, especially yours. The subtitle also works for me. I know I’m late to the party, but I think you’re name is more memorable. I kept forgetting the name of your website… Keep up the great work! I have always enjoyed your humor, wit and how to’s from recipes to gardening. Your new name is perfect!! Will I still receive the emails from your new site? I love the name and the new look. Very classy. Love the new site and name….no matter what you call it it is a grand place to visit. Look forward to your recipes, garden advice and your wonderful sense of humor..I have a lot of indoor plants so I value the info you give us for them….hugs to all of you at your house. A site by any other name has just as sweet content…when you are the author, Kevin! 🙂 ♡ it. I like it. Really love the subtitle. It says it all.. I quite like the title and have always loved the site!!! 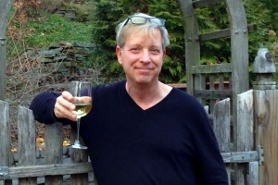 Keep up the excellent work Kevin Lee Jacobs..you and your site are delightful!!! A rose by any other name smell just as sweet……love you’re blog and all that you do!! I enjoy your site as well. The humor helps when things don’t turn out as planned-life does that a lot! Thanks for keeping up the great work. A blog by any other name would be as entertaining, as Shakespeare didn’t say although he gave me the idea. P.S. You could say that you “decided to throw in the ‘trowel’.” (Sorry.) I love your site and have tried many of your recipes. Thanks for everything! Appreciate your work no matter what you call it! I loved the charm of “A Garden for the House,” as it gave me a lovely picture in my noggin, but change is good and I LOVE the delicious subtitle of your new domain name, so you GO Kevin! I’d follow you happily if you called it the Shyte on a Shingle Chronicles, so there! Liked the old name, like the new name. Content most important and it IS DELICIOUS! Love the name and love the new design. Waiting for the book. Excellent move! Good marketing strategy. Love your website. Love the new name, love the site! Always look forward to the Lily updates too!!! You know you are one of my favorites, right? I like the new name just fine. Thanks for all the hard work you do creating recipes, info for planting/storing our garden bounty and for sharing Lily as well as the house. I like the new title and look. I like that I can access it using either the old or new name. It’s all good. I have been following your blog and great ideas. Change is all part of living. Thanks for all your news. Love the new name and your website! This is a wonderful site and love the name and subtitle changes. I always look forward to reading all the content you share. Keep up the fantastic work! I think the change is inspiring, as you always are. Change is good and we should all embrace it. You are as special as is your site. I use your recipes and your gardening info and have for years. I also appreciate the personal contact when you have responded to my particular questions. Go forward, have a wonderful existence with the Silver Fox, and enjoy all that you have accomplished with your site. I’m on my own, I guess, in thinking that the old name was “catchy”. But whatever you call it, it is a wonderful site, and should be a name that makes you comfortable, and “delicious living” is most appropriate. Continued good luck, Kevin. Love the new name! Also loved the autographed note from July Open Day when you graciously greeted my friend from Schenectady &. They loved your garden and I love your note here on my desk in Southern California. I felt like I had visited in person after viewing their photos and treasured good memories of past life in Coeymans/Albany. I loved the old name (always wondered how it came to be). I’ll love the new name also. I’ll follow you to any name, Kevin. Congrats! Just perfect! Look forward to more of the same with thanks. Love the new moniker; loved the old moniker. As long as the content remains as wonderful as it has always been, it’s all good! Thankful for your blog, in site, recipes, humor, encouragement, and great ideas. Love the new “look”. I am also looking forward to following your instructions and starting my own garden this winter. I’ve got all the empty milk jugs clean and ready. I loved to read your letter telling the story of your blog name and its success. I like the name of the blog, but as you are well known now, It makes sense to change the name and use yours. I LOVE “delicious living”!!!!!!!! Best wishes for the new era!!!!! Of 2 minds regarding the name change- there is a warmth that A Garden for the House provoked however my post 60 brain would often struggle to accurately pass along the website most often occurring after I had recreated one of your many scrumptious recipes….and then in exasperation I would say ooooh just google Kevin Lee Jacobs & you will discover a delightful site! Ah change- reluctant to embrace but so often all for the better!!!!! Looking forward joyfully to continued warmth, humor and deliciousness!!!! I think the name is a great idea and a smart idea for branding purposes. Kevin, You have been very generous and helpful to so many people and we, your devoted readers, are grateful. However, the new subtitle for your blog gives me some concern. Do you really mean “gourmand” (a person who loves food and drink, often to excess) or would gourmet (a person who appreciates and loves food and wine) be a better description of you and the purpose of your blog? Just sayin’. We will continue to love you and your ideas, no matter which label you use. I give both the new name and the new web layout two thumbs up. Nicely done! This tab is ALWAYS open on my browser so whatever you call it, I’ll be readin’ it!! I especially LOVE the articles on winter sowing! I even got some Supertunias to grow with this awesome method. My gro-lights are on the way to a rummage sale. I’m on the south shore of the Big Lake (Ontario), also zone 5b, or 6a depending on which way the wind blows. Love your blog, looking forward to your cookbook! I have been following your site for some time now and really believe that, as you are the genius behind this wonderful site, it should carry your name. Also, “delicious living” so aptly describes all your wonderful ideas (in the garden, in the kitchen and all around the house) that you have shared over the years. Your tidbits of wisdom have made me look good on many occasions. Thank you! Keep it coming. Honestly you could call it any ol’ name – I will still follow you every step of the way. When I entertain and make your recipes folks talk about it for days and always expect the same when they return. I look forward to making many more. thanks so much for your passion and adventure for the good hone life. Thumbs up! People will remember anything they like… but your new site names really does reflect your very broad (and wonderful) interests… so bring it on Kevin Lee Jacobs! Love the new name and the sleek look of the site! PS You might want to have the site redirect to KevinLeeJacobs.com, rather than the other way around. I’ll read it whatever the name! Hey Kevin! I love the new name. It’s not really new because I tell my friends, ” Oh this?! It’s from my friend, Kevin Lee Jacobs “!! LOVE IT…the new name the moniker the site! Kevin, the name change makes total sense to me, though I did also like the old moniker. The truth is, you could call this site anything and we’d still be here for your wisdom, your humor, and the joy that is you. As a marketing pro, I know that websites reflecting a proper name are much tougher to market (less intuitive and less memorable, etc. ), but the beauty of personal blogs is they’re just that: personal. And you can do whatever the heck you want. I’ve enjoyed your blog for quite a while now. I love the indoor and outdoor gardening posts the most, more than the decorating and cooking ones, but have found content I love in all categories. So, thanks for all that good effort, Kevin. I’ve enjoyed it! The new site is very attractive and the name is naturally a good choice! – love the subtitle. Thanks for such a pleasant spot to relax and learn some new gardening tips and recipes. A bit late ,but here it is .I like the change and Lilly, you and your site are delightful!!! Love to read your blogs ,great recipes too. Thank you. I love the new site. It’s simple, classic, and clean. I also really love the change to Kevin Lee Jacobs, because it too is simple, classic, and clean. I also think that it better encompasses what you want to do as a brand. You are (literally) Kevin Lee Jacobs and by changing the name and adding the snappy subtitle, you can essentially do whatever you want and it works within the brand you have. I think it was a smart choice and I love it. Though, in the spirit of being honest, at this point I’d read the content regardless of what you called the website. Kevin, I’ve been reading your Blog for ??? I forget how many years… It’s been quite a few. It matter’s not what it is dubbed – it’s your ‘style’ that is attracting … “let’s take a stroll through the serpentine garden” you say; but let’s make a martini first LOL OH YEAH BUDDY – I’m IN! I’m new to your blog, just discovered you with the ketchup recipe blog entry, in fact. The name change seems good to me and pretty all encompassing. I’ve taken my time browsing around, wanting to extend the pleasure by not trying to “catch up” with everything all at once. I’m enjoying getting to know you and the gracious people who comment. It’s been a joy, thanks for sharing your life with us. I liked A Garden for the House, but the new name doesn’t matter one way ot the other to me. A parent can name the child anything he wants. As long as the humor, wisdom, and good ideas remain, what else could anyone want? I do agree, however, with the gourmand/gourmet comment. Gourmand has a somewhat negative connotation for me. It conjures the image of a glutton stuffing his face with great passion. Henry VIII with gout from gobbling vast quantities of rich foods. The “Cookie Monster” of fine food and a bottomless vat of free flowing alcohol. I got a bit of a whiplash on that word. I am completely hooked so it doesn’t matter what you call your website. I do like the change though. You should have your name front and center and the subtitle is an apt descriptor. Very interesting to read how this came about. I can’t recall how I came upon your blog but I do enjoy it. In my mind the garden was your outside garden and it was for your lovely big house. I grew up with that house, times in ruins and times of curb appeal. For me, seeing the house come alive again is very special. You are caring for the property very well. Time to take the space you own, as your own. I like the new website format. Will enjoy staying tuned! 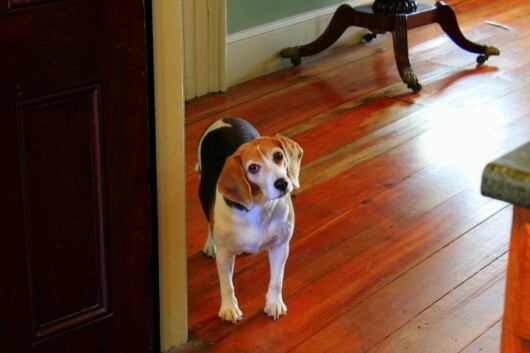 Hi Bonnie – Did you grow up in this house? Do tell! Hi Mary – Gourmand, I think, describes me to a “tee.” Like a certain character from Edith Wharton’s The Age of Innocence, I sometimes yield too freely to the pleasures of the table! I don’t care what you call it, I’ll keep coming back because I really enjoy your humor, helpful hints, beautiful antique house, gardens, recipes, all of it! I think it’s a delicious new subtitle and I will continue to enjoy your posts! It’s all delicious! The new site is easier to negotiate, and as everyone else has said, the most important part of it all is your wonderful wisdom and inspiration. Thank you for creating and managing this beautiful site. New beginnings! Much success. I loved the old title and thought it befitted a site that featured tips for gardening. And I think gardens are awesome but the new title is even better because you talk about gardening but you also talk about other intereresting topics. Just read about a back brace made for canines who like Lily have long backs. When I saw it she came to mind. I adore you, and your writing style! Your humor is the icing on the cake! I like the new name but thought the old one was great too. Like others, it is your personality that keeps bringing me back. I love how I can check with you on how to make a better pie crust, get my Thanksgiving Cactus to bloom this coming season, bring in my blooming flowers to enjoy all winter, etc. Hearing from you is a highlight to my day! I love the site. Best recipes and presentation anywhere, and the others I follow are Ina and Nigella. Love them both, but your site has that extra something even beyond the wonderful gardening help and decorating ideas. I liked the old name, it was clever. I always thought of it as the lovely garden outside a beautiful old house. That said, I love the new name. Your name works as the title, and we all need A Guide to Delicious Living. Your name has a musical ring to it. It is often overheard in our kitchen as we attempt to replicate your tempting recipes. As for “delicious living”, that includes passionate gardening, either for recipe ingredients or visual beauty. The overriding issue is we like YOU so we like your new website design. Good golly..Am I ever glad that you have a recipe index on you fabulous site. Your roasted cabbage with anise is just the fix for these two large perfect heads of cabbage that I accepted from well meaning friends. Love that index. I don’t care what your site looks like, I have always looked forward to visiting it and laughing out loud or at least smiling! I love the new line and the name change is accurate and wonderful ! I’ve loved your site for quite some time now and will continue for quite some tie hopefully ! Do you know I was just making your hummus when I clicked on “home” and learned of the change? The parsley for the hummus recipe comes from the raised bed garden I put together following your design. Now that I think of it, the seedlings came from plastic jugs I learned to plant following your directions and I transported them here to my Adirondacks summer garden all the way from Iowa. I think you can guess I’m a fan of your site by any name. I’m a literary agent and would be happy to hear about your book idea. More inviting and as it should be as it is your home. Thank you. Love it by any name! Kevin, your site by any other name is still your site……the best! I think the name is great and if you are happy that is all that matters because we will reap the reward of your happiness…thank you!!!! I’ve enjoyed the site for many years and it matters not to me what the name is though using your own name does lend it a feel more of your personality. Thanks for the wonderful recipes and insight into daily life with a partner of whatever gender and for sharing so much over those years. I’ll keep reading if you promise to keep wring and don’t give up on the cookbook. I have three historical fiction manuscripts with my agent at them moment so hope can always be alive if you must write – and I must. Thanks for the years of culinary pleasure. The first link in your email is not this one – it’s some sort of marketing. The whole link needed to be kevinleejacobs.com but with the spaces it didn’t take me here. I like this new webpage and the layout is easy to use. Question – I have a fungus on my pear tree. I have researched and found it is from a canker on the tree but I can’t find the canker and am at a loss what to do. The tree is at least 50 years old and provides beautiful shade and up until this year, great pears. Any suggestions? Ditto to 8. and 9. and so many of the others. Love it. Whatever you want to do is just dandy with me. Adore the zoodles and noodles! My new favorite, insanely simple, recipe. Thank you so much. We were most definitely being overrun by zucchini. Bought the amazon julienne peeler you recommended. It works great. You make any title the best. Congrats to you on your new appearance and on proving those publishers wrong….look how many followers you have accumulated. I am one of those faithful followers. I don’t often comment but I love, and never miss, your blog. Thank you. The name is great! I smile when I receive your e- mail with new things . Keep going ! We’re here for you! Darling Kevin, I would follow you if you named the site “spam.” Carry on! Loved the old name, love the new name, but like your many other fans what I love most is your blog itself, it’s one of my favourites and one of the very few I read every post of even if I almost never comment. I shall continue to look forward to your vignettes and recipes as much as I always have. Thank you for all of it. Kevin Lee Jacobs is a proud sounding name so why not use it and although I don’t know you personally, “delicious living” seems to describe your lifestyle wonderfully. I look forward to all of your posts. Change is good for the soul. Love the new site. The name suits you to a T :-). Sorry about the rejection by the publisher- what were they thinking? I love houseplants – they are a must in so many ways. Look forward to your helpful insights and your humor! A guide to delicious living – yes! The name opens up horizons and possibilities and makes all sorts of wonderful things seem possible.I really like it!Here’s to delicious living! So glad you started your blog and are so devoted to it. Blessings to you and the wonderful work you do. Whatever the name, I love the content! happening in the world). Please pat Lilly, and the Silver Fox, for me. the subtitle is perfect for you!, and as long as I can continue to find you, your recipes, your humor and advice, I’m one happy follower. best to you, Kevin Lee Jacobs! Your old name contained 2 of my favorite things-houses and gardens. However, the new one has LEE! In it. Call it whatever you damn please. It’s my favorite thing online! I know I’m supposed to say I love it but….I’m sorry I like your first name. However, whatever you do, I will follow. I’m glad you did a website even against the publisher’s comments. Sometimes things happen for the best! Love the new name but whatever the name I would eliminate all other blogs and keep yours the information is Soooo good and pertinent to What I do in my cooking/ gardening life. There is so much to learn and share with “friends ” like you. Thanks for all your good ideas and interesting thoughts. Gourmand has very negative connotation to me. Gourmet suggest what I think you are: someone who appreciates and enjoys good food, good wine, and a lovely environment. Gourmand suggest someone who overindulges in food and wine. But it is indeed your call. I never used the title of your blog anyway, whenever I’d tell my friends or family about a scrumptious looking recipe or a truly helpful gardening tip, I’d say, “Kevin Lee Jacobs says this, or Kevin Lee Jacobs did that!” Thank you for sharing your life with us, whatever you call your blog, I’ll be here. Delicious! Looks great, too! Just keep it coming please. Anything you do is fine by me! As a fellow gourmand (I wish there was a more feminine version of “fellow!”), I love the new name. I also agree with Terri, and will no longer have a problem remembering your website name. As for books, I will buy anything you publish! I will now search the site for information about indoor herb gardening. Love it! And love that we’ll be redirected to the new site as we get used to the new site name (haha – new???) Thanks much for all your efforts! I LOVE the new name and here is why…I could never remember “A Garden For The House”. I was always Googling your name to find the site. You have now saved me so much frustration for never being able to remember the name. I never had any trouble remembering YOUR name. So, thank you for improving my life! 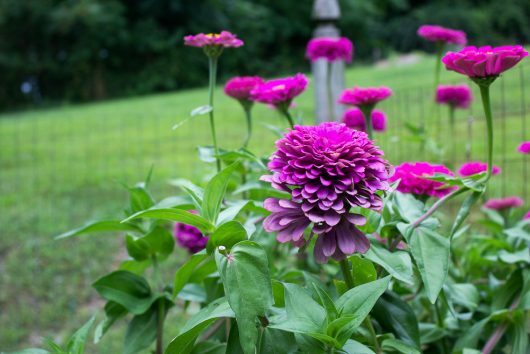 Love it, love it along with you, Lily, and your perfect zinnias ! This has been a stellar summer for one of my favorite summer blossoms. Kevin, I’ll read all your stuff no matter what you call it!!! I’ve always googled your name because I could never remember your site name. Sunday mornings are your blog and a cup of coffee out on the back deck with the dog, the cat, and the cat next door who always joins us. Call it what you like; you’re just part of my weekend routine. Hi. Love the subtitle. You are looking well. Cheers to change! Very happy for the change, which reflects your personality and range of expertise! The old name was always a mystery to me. I thought it represented your wish list of a garden when you bought the house. Now it makes more sense – now that you are changing it LOL. I like the new name better – way better. I do love houseplants and hope you continue to feature them. Kevin, I first go acquainted with your site when I attended a potluck dinner. I tasted this delicious chicken recipe that came wrapped in a foil. Yes-I would always tell friends to “go to Kevin Lee Jacobs site” so this just simplifies! Potato, potahto, Tomato, tomahto. Even if I don’t know where to find you- that’s what “bookmarks” are for! Haha. Always follow your heart. Dear Kevin – I think the gift is more important than the wrapping. I will say, as someone born when women still wore white gloves for Easter: change can be challenging and it can be a good thing. If you were no longer comfortable with the old name, that too is important, as it is YOUR work. So as a reader and maker of your wonderful recipes and follower of your gardening tips, I will adjust to the new name and continue to pass it to new friends. The quality of your content is what keeps us all coming back each week! Thank you. I like the name change, the subtitle is perfect and the site looks wonderful. I always enjoy visiting for inspiration. Glad there is a re-direct, that way no losing your followers! Thanks for all you share. Love the expression on Silver Fox face! Are you happy? Then we are as well- I think the name change is great as long as we continue to read your tongue in cheek comments which accompany the delicious recipes and garden tours- and visit with the darling Lily who is looking good- What diet is working for her? So instead of the original book -you now have an international following- Life is mysterious and wonderful! When your new book does debut-your audience will be waiting. So much better. I will continue to love your site no matter the name. I did love the old name, I must admit, but your name and the sub title, delicious living, is just right. I get your email subscription. Will that change? Of course it always comes to my box several days after you post it th contents are delightful. It is easy to go back to older issues, will that change? Look forward to new surprises. I look forward to this every weekend, regardless the name. The photographs and humor are main reasons I continue. I don’t cook, but I read the recipes, enjoy phrases like “find a bright green spatula”, and completely enjoy the house and gardens. Well done, I ALWAYS thoroughly enjoy your most-excellent recipes and tips. You are one of my favourite sites on the WHOLE INTERNET!!!!!! Hi Kevin. Love that the site is now under your name. I do find “Gourmand” in the subtitle limiting though. While it reflects your wondrous talents in the kitchen, it does infer that the site is mostly food related. While in fact it’s so much more … What about simply “A Guide To Delicious Living”? That could cover everything! We’ll love you by any name. I was charmed by the old name in the beginning and never did tire of it. But, I love your recipes and your style so I’m not upset at all by the change. It’s still you and that’s what counts! I loved the old title because, to me, it was not only about flowers, it was about a kitchen garden and what to do with all of that great garden stuff. And having restored an old house (well, what passed for old on Miami Beach) myself over two decades, I appreciated the struggles, the challenges and the desire to be respectful of the history of the house (for me the kitchen was a huge challenge in that regard but I think I pulled it off). I am not in favor of the new name. But then I don’t like change. I live among the Amish and they are still in the horse and buggy, no electric, etc. The new name tells me nothing about the wonderful site……unless I already am familiar with you. Excellent choice and very apt. Keep up the wonderful posts. Change is always refreshing. Love it all! I like the name change but especially “a guide to delicious living.” I always look forward to your wonderful newsletter. Love your blog by any name. The new one looks very classy, I must say. I also LOVE the blueberry bars you shared with us. Very timely and v e r y good. Keep up the great work! A rose by any other name, as they say…BUT, I agree with the new name being better, and the new subtitle is DEFINITELY more descriptive of the blog. So…BRAVO!! I LOVE YOU EVEN MORE!!! I like everything you like, Kevin…including the name change. I too like the imaging of the old name. The new name does not give one any idea of the contents (which are wonderful). I love the new look but I am not a fan of eponymous websites unless it’s a household name and the website is about the person. I think a website name, like a book title, is most effective if it conveys something about the content: the title draws me to it. That said, I wasn’t crazy about the old name, either. Maybe because it was too long or too generic? In any case, now that I know your site I will continue to visit, but I’m not sure I would be drawn in by the new name even though the content is great. Sooo interesting about your book experience and then so many coming to your blog. I take it your Twitter and Facebook accounts will remain. I thought the older title, A Garden for the House had more pizazz and was more descriptive of what you want to communicate. I have always loved the old name so it is hard to embrace the New, but in time, I am sure I will get on board with the new name. I never thought of A Garden for the House as just being plant based. I always thought of it being alive with Color which I believe you represent well. Colorful plants, thoughts, ideas, and yes recipes. Well, the new name will for sure be better than “The Skip-and-Go-Naked Gazette”! Shoot the moon! I’ll still be here! The sub-title says it all. BTW, while you’re re-jigging, might you consider the order of comments so that the most recent is on the top? There have been times when I’ve not commented because I was not amused by scrolling and scrolling and scrolling some more to reach the comment block at the bottom. Your revised site is very nice. I would read your writing regardless of what you call it because I am a fan. However, if I were perusing sites and blogs to read, I would think that the “gourmand” and “delicious living” were geared to food. Your “Garden” is so much more. I like the name, either way. I come for the contents. I love that you include gluten-free recipes sometimes, I love the garden hints, and I LOVE those pictures! Its a little wordy but it’ll do. Its the contents of the site that make or break it, not so much the name. Kevin, I am delighted with the new name and the subtitle couldn’t fit you any better. I adore hearing about Lily and love all your recipes and waiting for your cookbook too!!! Thumbs up on your new name and site, Kevin! I enjoy your yummy recipes and really “dig” your gardens and plants advice. I so look forward to your blog and postings plus your sense of humor and fur photos! Kevin, I love everything about your site – period!!!!!!! Your hints, pictures and recipes are something that I look forward to every week and would read in whatever name you called it!!!!! I need to send you pictures of my huge African Violets and ask for advice, the leaves are as big as my hand and have huge clusters of frilly purple flowers. Glad you have changed to your name. Not so happy with subtitle. I think Bryonna (145) has the right idea. REGARDLESS, we will all find you. I like the new name. Have changed it in my contacts list! guess, way back, I channeled your desire to change the name of your site. ha. And, glad we can still use the old website address, too, just because it’s fun to write. I’m a bit put off by the “delicious living” part because you do so many great things with decorating and ornamentals and flower arranging, etc., etc., etc. I’m old fashioned I guess but delicious meand food to me still. But if you have chosen it, who am I to say??? Really like the new name and subtitle, so much so, that I’m going to steal it, if you don’t mind ! Not your name, but to describe my girlfriends and my lifestyle ! We’re a bunch of 70+ ladies that still have a lot of livin’ to do, and ” delicious living” says it perfectly! Proudly identifies you and delicious living is great but to tell the truth, I’d skip the gourmand reference. Keep it simple. Love your recipes and enjoy the newsletter weekly. Yes, yes – to the new blog name and subtitle. They both do work so well. I’m glad you explained the old name. I could never figure out what it meant, and couldn’t remember it when I tried to tell friends about your site. I like the change, both using your name and the tag line. And the new web design is lovely,as well. I always referred my friends to your site. Matters not what the name as long as you continue to create the wonderful blog that you do. So thankful you continue to share your blog. Really appreciate it. Revamp is just as excellent as you. Besides, now, it fits extremely well when I receive the compliments and I say as I always do, “WHY IT’S FROM KEVIN OF COURSE”!!! Delicious living….ahhh! What’s not to like? It’s perfectly wonderful, just like you! We unexpectedly ended up with a house over 100 years old. We feel like the house is a roaring volcano and we are 2 virgins about to be sacrificed!! I am partial to “A Garden for the House” because in our case, the house consumes us. But, as many of your readers pointed out, we will still enjoy your wonderful content. FYI, I have been using the winter sowing method all summer. I prepare the jugs and leave them on our fully covered, south facing back porch. As soon as I start to get germination, I remove the covers and keep them lightly damp. I had much better germination with cone flowers started this way a few weeks ago vs. starting in the full sun in the spring (same 2 strains). I think it is our incredibly hot weather that does the trick. Thanks again! Love the site – info, recipes, pics, humor, etc.. I would still love it no matter what the name. I like the changes, Kevin. I would get a commerial email from a name almost your old blog name and be disappointed when I opened it. So the name change is not only more accurate but fitting. Thanks for delicous living ideas, always. In any name….it’s just a great site so carry on….so long as I keep seeing your emails I’m with you Kevin Lee Jacobs! Definitely a “Yes” on the new title. It’s much easier to remember. It works for “Martha”! Uh oh! Can’t tell you how many folks I have told about you and told them to just look for A Garden for the House website…. Still like it but understand your need for change. I absolutely love “a guide to delicious living”. It’s more than gardening; more than eating; and more than just living. It’s DELICIOUS living! I’m going to be honest with you because I think you want honest input. I’m not sure the new name is an improvement, although I absolutely love the subtitle. And I have to tell you that I am a landscape designer who recently started my own business, using my first and last names as the name of the business and I’m not sure it’s good either. Aye-yi-yi… it’s difficult isn’t it? If I have a genius idea, I’ll be sure to let you know. I enjoy your website very much — it’s funny and full of great info. Best wishes to you! It’s awesome! And anytime I hear the name “Kevin” I start to drool! XXOO! Your name is easier to remember than the current title. “Delicious Living” is an interesting catch phrase. I love your wit and step-by-step photos in your recipes. Fun to read your instructions. ” Delicious living” is a delicious name. I like it very much! Thank you for some great recipes over the last few years. Hope that book comes through for you! “Delicious” comes in many flavors just like you. Keep up the many flavors of Life with Kevin. I look forward to the weekly news on all of it. I love the name. Great idea! As a gardener looking for new and creative ways to garden efficiently cleanly and use my produce in new ways, I am not sure I would have found my way to your website and blog. That said, I think it more accurately reflects the direction your blog and website are heading. And I have enjoyed the changes! In just a few minutes, I will make the corn souffles to accompany fresh coho salmon fillets. I love your site, have made your cottage cheese pancakes too many times to count. Same with the vegetable tian. Love your new title! Good for you, Kevin, and know that are much appreciated! Now….on to those corn souffles! The name matters not to me, whatever suits you is fine! I really, really appreciate the content…always a read for me. Thank you for so generously sharing your time and talents! Kevin, you certainly got the response and I believe the result pleases you too. Everyone loves you blog and you and Lily (the beagle). I love looking at the pictures of your home and gardens, and the recipes are wonderful. You never need to doubt your appeal. As long as I can find you, any name works! Perfect! Keep the gardening and luscious recipes coming. Look forward to each update. Kevin Lee Jacobs…u rock with what ever u lay hands too…just love all of it…have a good day…. Call it what you like. I’m in! Always look forward to your emails. LOVE the recipes, garden, pics of the house. It was a happy day when I stumbled onto your site years ago. I LOVE your new site, & the subtitle is perfect. It really describes your offerings so much better. I especially LOVE your new picture. You look so happy & relaxed. Everything is awesome! As long as the content is the same -a rose by any other name.. I love the mix of everything recipes, garden, house. You have a special way with all of it. Well, I like the new name but I like the old one a little better, I always thought it was catchy like you had a house so you could have a garden or you had a garden so you would have a house or something like that. You even have a board on my Pinterest. I like the delicious living part. We all need that. Anyway, it is all nice and I enjoy you site very much. Thank you for sharing with us. Am new to your site but the subtitle is pretty catchy!! Should work fine. Whatever suits you is fine with me. As long as the recipes remain delicious 🙂 And the pictures occasionally include Lilly. I agree with those who say we’d follow your blog whatever you call it. So Kevin Lee Jacobs it is. Love your humor, style, recipes, gardening and decorating tips. Looking forward to living deliciously with you and all your friendly, appreciative, fans. Go Kevin! Yes, the new name does fit the bill, but I will continue to save your info to my “A Garden for the House” site – that was what brought me to you in the beginning. you see!!! I think I must be marching to a different drum! I loved and still love the old name. As for the new – using your name is ok but unoriginal and I definitely don’t think delicious living gives a sense of the breadth and depth of your posts. Sorry and all that. I will of course continue to follow your blogs and make your recipes. Love your blog by any name! Your new website name’s perfect & the subtitle definitely describes your wonderful content. I hope you enjoy sharing as much as we all enjoy your writing. I look forward to each new post & my family is always eager to be my taste testers. I came upon your website due to my interest in growing blueberries & your tip re: the use of soil acidifier has really turned my blueberries around. Since adding it to the soil on a regular basis my plants are happy to produce an abundance of big, juicy, sweet blueberries. This year I even had enough to share with neighbors & stock my freezer for the winter months. I prefer the old name and i love that additional line of “a guide to delicious living”. The old name had a kind of enigma. Will miss it..
Dearest Kevin; I adore you and appreciate all your hard work with your blog. You continue to be a positive influence in my life. Your cheeky sense of humour is right up there with Carol Burnett in my mind. (My #1 comedy fav). I survived a bout of thyroid cancer and wanted you to know that your website was something that cheered me up during “The Days of Doom” in 2014-2015. I don’t recall where I found your link originally (sorry), but I am grateful. I love how you include your readers in the journey of life. I think specifying the colour of bowls and spatulas for a recipe is brilliantly funny. The details can make such a difference in our lives. By introducing the science of colour psychology into our everyday lives you’ve demonstrated your pizzazz as a successful motivator. You’re awesome! The new name is perfect. A site that talks about plants and food….yes, that is definitely delicious living!! Good choices for title and subtitle. Thanks for sharing all of your “delicious living” ideas with your fans! Hi Kevin. I know I already made a comment – but I wanted to let you know I actually ‘used’ your new web site on Saturday afternoon. I had two dear friends, I hadn’t seen for a few years, stopping in to visit. To late for lunch and to early for dinner, so I made a few Hors d’oeuvres & Crudités and chilled a couple bottles of wine. I made your Zucchini Cups ~ stuffed with crab and garnished with lemon zest & a couple capers… White Bean Dip (love the rosemary undertones)… Herb Cheese Straws (Oh yum @ the little touch of heat) and some Crudités ~an olive tapenade, and a roasted tomato & garlic spread. Simply to make, delicious to eat and a touch of class. THANK YOU KEVIN !!!! You made my life easy peasy and I was able to enjoy time with friends instead of working in the kitchen. Kevin, I agree with Maria Fleet. Her post is right on. You are VERY cool! KEVIN LEE JACOBS by any other name just isn’t the whole package…… wit, recipes,tips,gardening,etc. Need I say more!! Having looked forward to your Sunday emails for several years now, I will have to look forward to Kevin in my In Box. Either way I enjoy each one and have forwarded some to friends. Thank you. I have some fresh corn and will try your recipe today. Always a lot of great stuff to look at, you have taught me a few things, very colorful too I might add. It is easier to get around your site, and to find things. Name on the site looks very professional (guru) as you put it. Out with the old, in with the new, gotta keep up with the times. Love it Kevin, keep moving forward and keep it as special as it is now, and always has been, “a great place to spend some time”….with Kevin. Great site no matter the name! A Guide to Delicious Living is SPLENDID…as are you. And as for those “experts” who think “nobody cares about indoor gardening”…what planet are they from anyway? If it is okay for Lily the Beagle, it is more than okay for me! You’re selling the “Garden” short. How about a slightly different change? 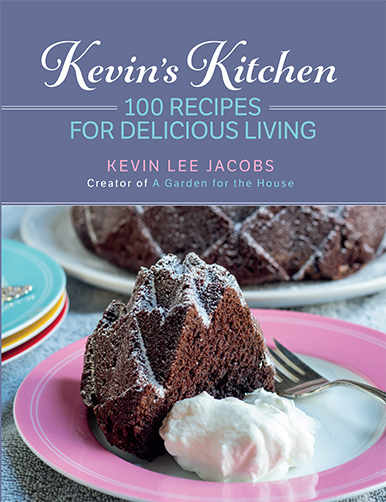 Maybe “A Garden for the Heart – Kevin Lee Jacobs’ Guide to Delicious Living” ? Reflects the idea that you put so much of yourself into the topics you cover. Just a suggestion. “A gourmand’s guide to delicious living” sums it up succinctly! I like what I did but chose a publisher that doesn’t want to work with this venue. I love the name change!!! New site is lovely — clear, lost of white space. I did like the previous site, but —- needs must. The name “A garden for . . . . . ” was really grand! Rolled trippingly off the tongue! And the gardens are so very lush and beautiful and so well planned! Any time of the year they look grand! Keep taking pix – all seasons, and post them!! And your name, for some reason, I never had trouble remembering!! So — don’t lose “A Garden for the House”!! Says so much! As the “House” is a personality also! !Good work, Kevin! Love the recipes and glimpses of the garden!! You are a fine artist! Being married to a Kevin Lee, all I need to remember is the different last name. I do like the subtitle. Your site is informative, gorgeous, and has just the right amount of whimsey. I vote yes, and do self-publish that book. And, aren’t you writing a cookbook? I found your blog by accident and never expected to love it the way I do. I am planning to do a plant window similar to yours in my office. I love the new name change! I always remember your name, but could never remember the name of your website. You’ll be easier to find now. Thank you for all the informative gardening articles and excellent recipes. Because of you, I tried winter sowing for the first time with great success. What ever works for you , works for me. Just keep working!!! ( I know, it doesn’t just happen! AND someone has to clean all those pots , pans and mixing bowls!!!) I’m not new to cooking but am to gardening. Your recipes and gardens have provided great inspiration. Esp your serpentine hill which one day will be my back yard. Even if it is one plant and one stone at a time. Thank you for all. I don’t care what you call it – I love the site, love the recipes, love your blog!!! I love old houses too, and I enjoy seeing your gardens and what you have done with that beautiful old home. For several years now I have made your strawberry rhubarb sauce and everyone loves it!! I have also tried most of your recipes and have enjoyed experimenting. Thank you!!! Kevin, I like the new name and look of your blog. As a fellow gourmand,I think the subtitle is most appropriate for you! This is my favorite gardening site. I will be happy no matter what the name. Your gardens are beautiful and your recipes delicious. Thank you for sharing. So glad to be receiving your newsletter again….. I love the recipes and garden tips. While shopping for a gift in an antique shop, I spotted a lovely small blue mixing bowl similar to one you had used for one of your posted recipes. I refrained as I bought a green glass pedestal cake plate with a thistle design around the plate! I love the new name of your website! Thank you so much for changing it. “A Garden for the House” never did make sense to me–plus I could never remember it. Now the website and its name are BOTH excellent. I quite agree with majority-and how cool of you to ask for our feedback.! hi Kevin, I would not care if it was a garden for the house, or Kevin lee Jacobs ‘s site, the fact is that it’s what You’ve Created in the past. People will follow you no what the case may be. I love your recipes. Last yr. we had a christmas party, used all your hors d’oeuvres recipes + the Glugg which was a HIT! they all asked me where i got the recipes.. i had put your name and your site on cards, so everything could go home with a card and your name in hand, now there are some people that just are checking your site all the time. Well, as I’m new to your site as of like 30 minutes ago, your name is much easier to remember. I forgot the name “a garden for a home” like 5 times in a period of 1o minutes, (my tablet kept crashing and I had to do a new search each time) but remembered Kevin Lee Somein’ Somein’ and googled Kevin Lee + garden + cooking and you popped right up. I do like the name “a garden for a home,” it’s sophisticated, but maybe for another use. You’re wit is just fantastic and fun to read! Thank you for what you do. It’s great! There is something about your site that is very homey and cozy….I love it. When I see it in my inbox…it lifts my spirits…so there! Doesn’t matter what you call it as long as I can find it! But if you are bugged by the name, it’s definitely time for a change. Came back today to refresh my memory on freezing zucchini after a bountiful trip to the farmers’ market yesterday. Very aptly named. I love your blog. SEVEN YEARS !! Where was I ? Anyway, I love the new name and your recipe’s seem great, I’ve saved a ton for the Holidays to Pinterest. You seem to epitomize “delicious living” and I certainly benefit from the “guide to” part! Your posts are always interesting. Carry On! I liked the previous name. I pictured your gardens as a respite for the soul! But what works for you is best! Continue your clever and always entertaining style! An eponymous site is much easier to remember, and I do love the ‘delicious living’ subtitle, which I feel covers home, garden, kitchen… all of it. The important thing is that we can always find our way here! Or as a friend often says: call it this, call it that, just don’t call me late to supper! Love it–I always forgot the exact wording of House and Garden. This one is just right. I think it is smart to use your name ’cause you’ll always have it! Great site and content. Am planning on making all of my dining room windows into a window garden this winter. Thank you for all you do! I love all the info. you’ve shared about your house, gardens, decorating, pets and food. I’ve used many of your recipes and they are delicious. Whatever you call your site, it will work. I look forward to getting an email from you every Sunday. I do like the videos and enjoy the use of the colored spoons & bowls. I found this site serendipitously while researching a good way to freeze broccoli. I found what I needed and enjoyed the site so much, I’ve been visiting ever since!